The fish are biting several different baits fairly well. The underspin with a 3" swimbait, jerkbait, wobble head,,,,,etc. 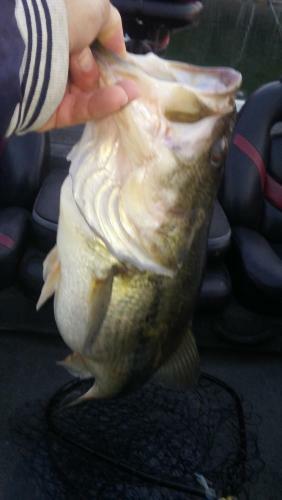 I do not mention the crankbait because the bottom slime is a nuisance in my area. The fish can be caught shallow or deep, but they seem to be grouped up. When you find them, you can get multiple bites in a very short distance. The WT was 49-52 this morning and I assume it warms up a few degrees in the afternoon on nice sunny days. For me, the jerkbait will produce but the quality is lacking. 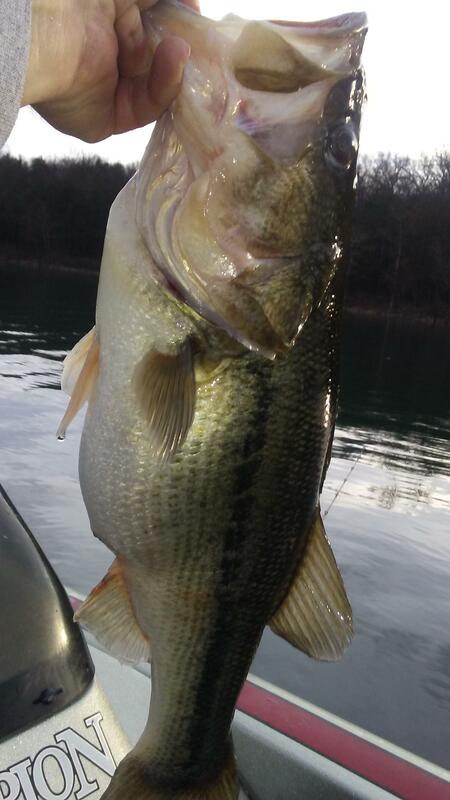 The fish pictured below weighed 5.13 and was caught this morning on a underspin. still on the big girls I see , they are so FAT !! Time to get out there for sure, nice fish and report. 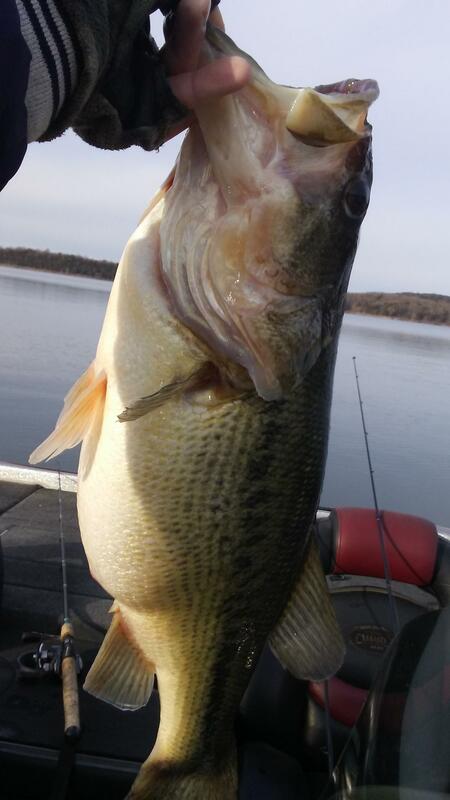 The fish pictured below weighed 5.13 and was caught this morning on a underspin. What a toad! Congrats on catching that big girl! I fished the underspin this morning and had 12 keepers (10 LM, 1 SM, 1 K). The best 5 about 18 lbs. The Federation boys flew by me first thing this morning and I am sure the leader of that tournament will have a hefty bag for day one. WT 53-55. The LM have made a big move and the KVD bash should be great. I fished the underspin this morning and just caught one fish, but at least it was a good one (5lbs). The lake is super busy so I just stayed in one small area. I know the fish are staging because I have seen them and now I also know they will ignore my offerings. The picture was taken in the bottom of the boat because there were a few other boats around me. Nice fish! I'm surprised that someone didn't mug you and take that fish! I have never seen so many boats in my life, up here on the James!